In order to add your Walmart marketplace into your Informed account, follow the four steps below which guide you step by step on how to access your consumer ID and Secret Key credentials. This will give Informed the ability to communicate with your Walmart marketplace. Note: If you do not yet have an account with Walmart and would like to learn more about how to get approved, click here. Click on the "Marketplaces" tab on the left-hand side of your Informed.co account and then Click on "+Add Marketplace" where you will then select "Add Walmart". 2. Click the yellow "Login to Walmart Seller Account" button where you will then be directed to locate your Consumer ID and Secret Key credentials. 3. 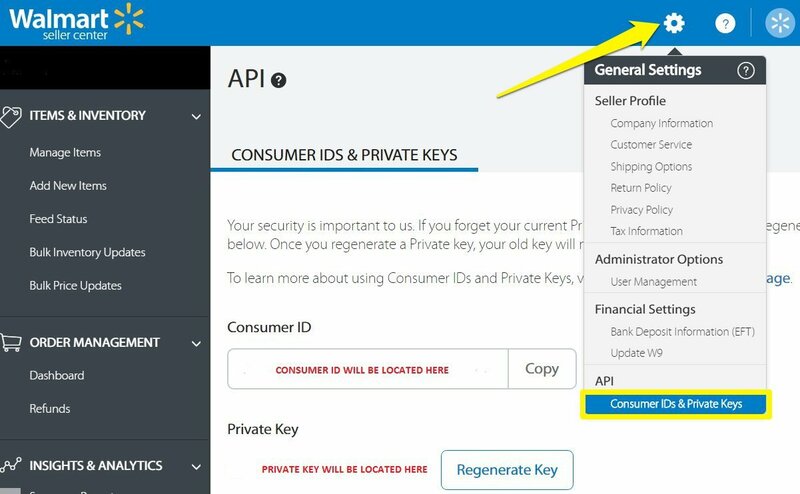 Within your Walmart Seller Center account, you can access your Consumer ID and Private Keys by clicking on the General Settings icon and selecting the "Consumer IDs & Private Keys" option in the drop down menu. 4. 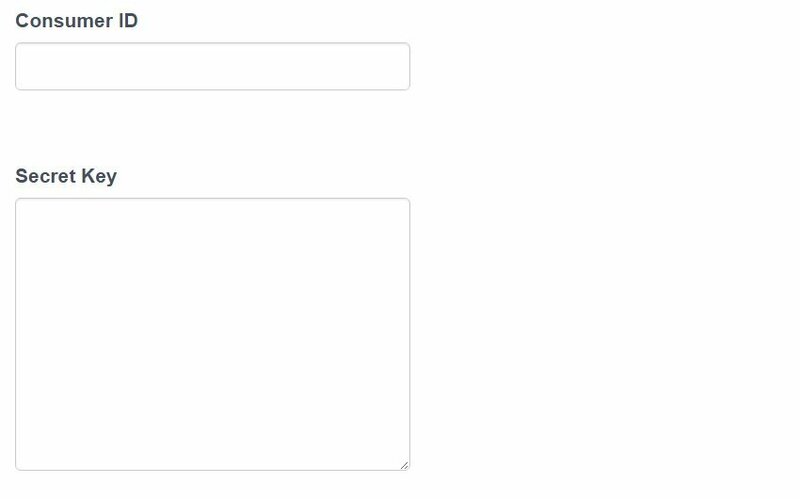 Once you are provided both the consumer ID & Secret Key, enter into the correct fields in Informed and click save on the bottom right of the page. When the marketplace has been successfully added, you'll then be directed to create a default strategy for your marketplace. Strategies determine how your listings will be repriced on the marketplace.